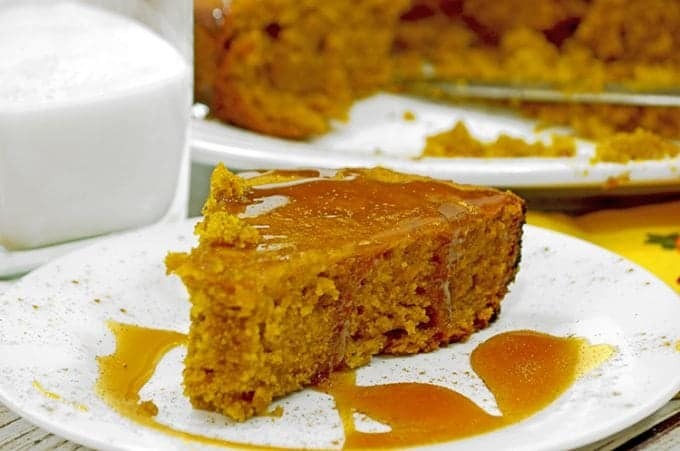 This Slow Cooker Pumpkin Cake is like an old friend. Easy and dependable, this fall-oriented dessert never fails to impress. 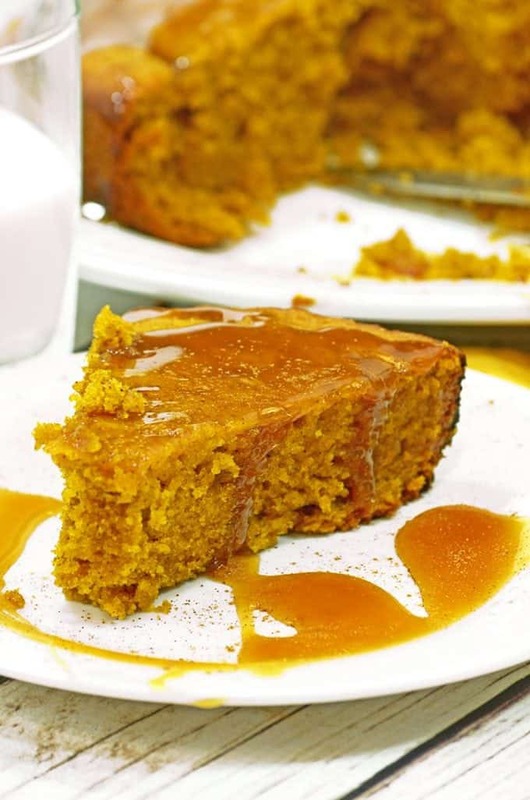 We originally made this slow cooker pumpkin cake about three years ago and to our delight it was our first recipe feature to go viral with some 200,000 repins to its credit. It has been copied by other sites and featured in a number of media publication including Country Living and other online and print publications. 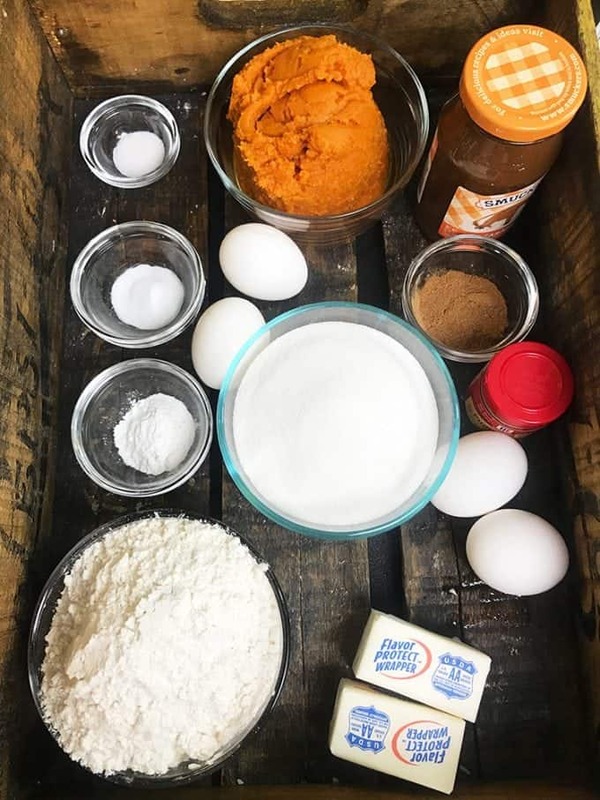 Some things are worth repeating and if ever there was a recipe that fits that category then this slow cooker pumpkin cake qualifies. We decided to do an updated version of this recipe, with new photos and a cooking video that shows just how simple this dessert is to make. The prep time is just 10 minutes and the time to finish in the crock pot is only 2 hours or less. Depending on how your slow cooker runs, you may want to adjust the time and temperature setting. 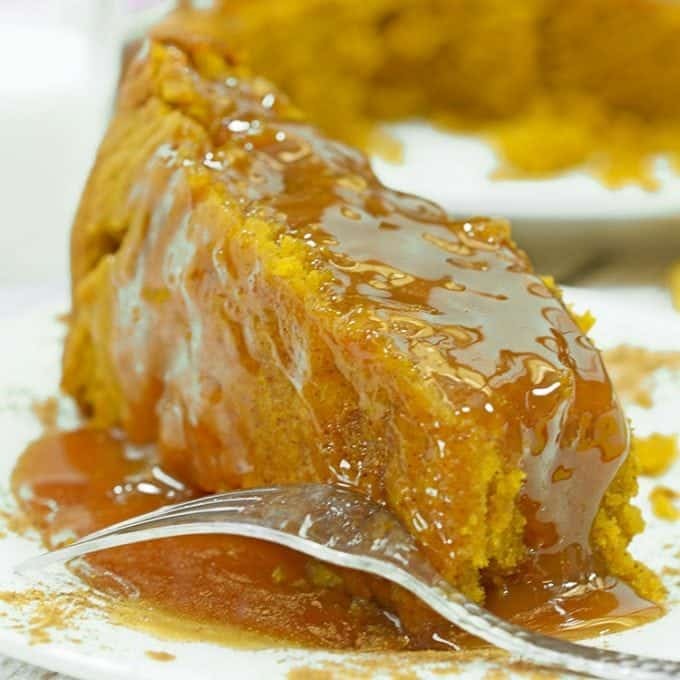 The first time we made this slow cooker pumpkin cake the crock pot time was about 2 hours. With our updated version and a different slow cooker, it took only about an hour and a half until it was finished. You will want to use a tooth pick to indicate when it is finished cooking. 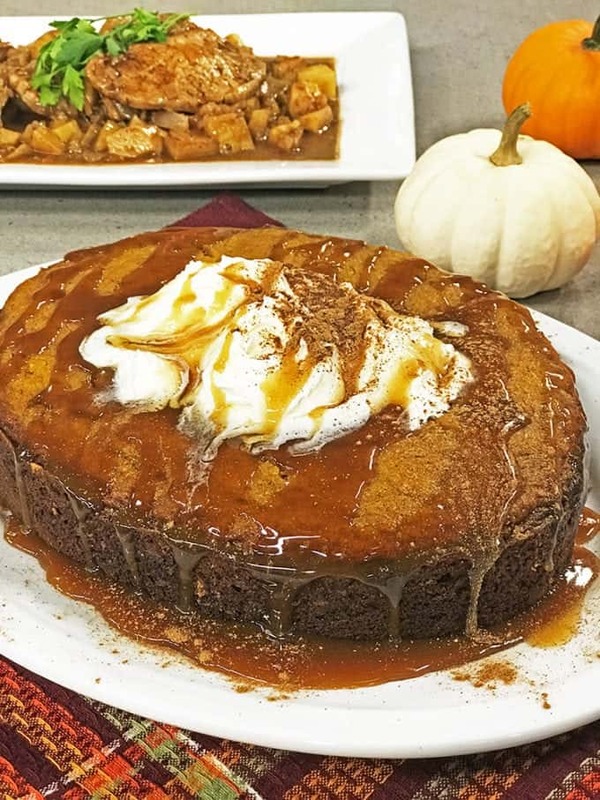 See the Platter Talk Guys make this Slow Cooker Pumpkin Cake on live Television. The caramel sauce is an optional topping but I can’t for the life of me imagine why you would even think about skipping it. We received a little flack from some readers for not making our caramel sauce from scratch but you know what? Sometimes you need to take the easy way out. 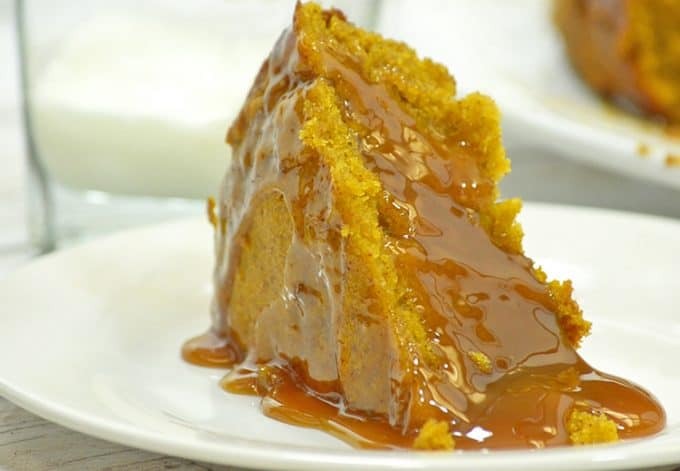 Click here for the full recipe to this slow cooker sticky caramel pumpkin cake. Droolworthy! Such a great way to enjoy pumpkin season! I really have to try this cake this fall. It looks incredible!! The house must smell amazing while it cooks. It’s a definite on the sauce for me, in fact, I would take it extra extra. Thanks for the kind comments and yes, by all means, try this soon! So nice to hear from you and hoping you are having a beautiful fall! More crock pots needed to make all the cakes I am going to be consuming! 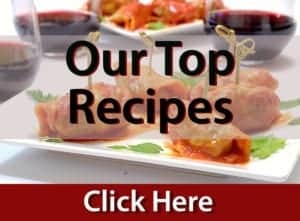 Such a great recipe for parties! Thanks for the comments, Jen, this is a surprisingly fun dessert that also happens to be delicious; I hope you try it! I love that this is made in a slow cooker! I can only imagine how delicious your kitchen smelled!?? Indeed it made the whole house smell great!! Oh boy! This looks like such a delicious cake. Definitely wouldn’t skip the sauce. I just might have to eat it by the spoonful! Use a big spoon, Sandra. No judging here! I love the idea of making a cake in a slow cooker! That sounds so fun! Thanks, Madi. I hope you try this! I’ve never tried baking anything in a slow cooker but now Im intrigued!! This sounds like a wonderful recipe and perfect to enjoy in the crisp Fall air with a hot cup of coffee! Wonderful one!! Thanks so much, Angela; we hope you give this a try! I totally agree, if I’m making this easy hands-off, most fabulous dessert – I’m going to grab some caramel sauce and keep it easy! There is so much deliciousness in this beautiful moist cake! Love the step-by-step video also! Thanks, Debra. I hope you give it a try! I am just drooling watching that caramel poured over the cake! I really need to use my slow cooker more than I do! 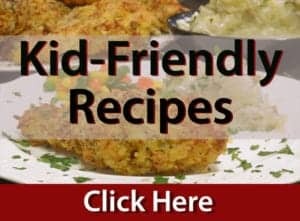 It’s perfect for fall recipes. Just jumped over and grabbed the full recipe! I used this recipe last fall and poked holes in the cake with a wooden spoon handle before I poured the caramel over it. 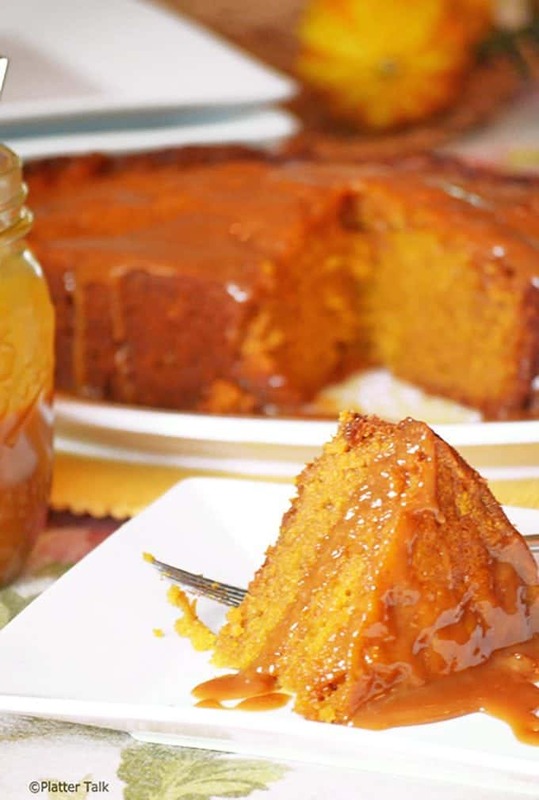 I highly recommend it – you can’t beat caramel infused pumpkin! Loving your idea, Sarah! Thanks for the great suggestion and feedback!